Despite of the 2.4 GHz, telemetry, outrunners, LiPo's, etc., developments, the old problems remain. The parts must hold together. Whether KIT or ARF, building or repairing it comes down to the correct Glue. 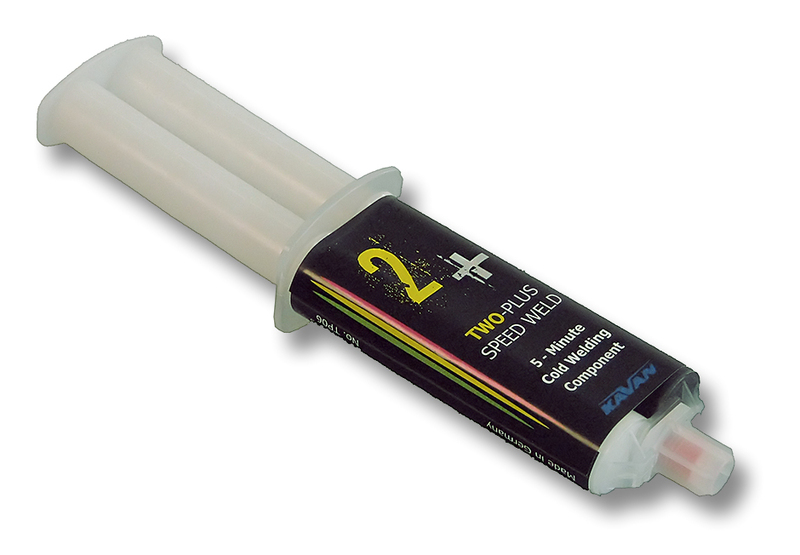 With it's new product line "TWO-PLUS" KAVAN sets for hobbyists and model builders the quality mark quite a lot higher. German ISO certification, comply with current safety regulations, are ReaCh compliant and is "Made in Germany". Unlike some other adhesives, the TWO-PLUS CA glues guarantees a content of 80 to 90% cyanoacrylate. Fast hardening glue for joining metals. 80% of final strength after 1 hour, 100% after 24 hours. Can be drilled and machined, highly resistant against pressure and high temperatures. With over 20 adhesive products and tools TWO-PLUS products guarantees to master any challenge. And there are solutions that you might not even dare to hope. Or have you ever worked with black CA Glue?